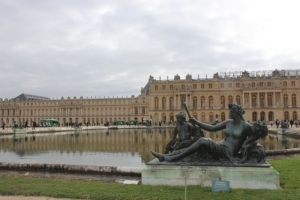 On this half-day guided tour, you will see the highlights of Versailles. Follow your guide inside the UNESCO World Heritage-listed Palace of Versailles and discover the Royal Chapel, the State Apartments, the incredible Hall of Mirrors, the Queen’s bedchamber before exploring the beautiful gardens à la Française designed by the famous royal gardener, André Le Nôtre. Must visit for History lovers !!! Your Licensed English-Speaking Guide will pick you up from your hotel in Paris at 8.15 am in a luxury private vehicle. 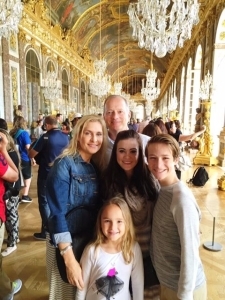 On the way to Versailles (only 12 miles southwest of Paris) , your guide will give you a complete introduction to the century of Louis XIV, and the history of the Palace of Versailles. It took around 50 years to build the largest royal residence of the world between 1661 and 1710. 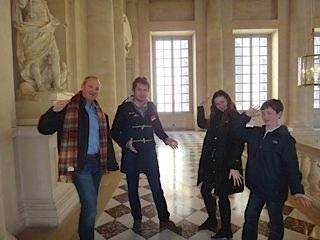 With its 700 rooms, 67 staircases and 352 fireplaces, Versailles is the apotheosis of French Classical Architecture. It remained a residence of the royal family until the Revolution of 1789. You will begin your tour with a private visit of the Royal Chapel, the State Apartments sumptuously decorated by Charles Le Brun, the Queen’s bedchamber which has been restored exactly as it was in its last refit of 1787. At the end of the visit, you will discover France’s historic military victories in the Hall of the Battles. Your licensed guide will have the reservation he has bought prior to your visit, so you will not have to wait in the long queues! (He will enter with you through a special entrance to start the visit). After visiting the King’s Apartments, you will follow your guide to discover the sumptuous decor of the Hall of Mirrors and you will relive the most memorable moments of the Grande Galerie like the the wedding celebrations and the masked ball for the wedding of Marie-Antoinette and the Dauphin, the future Louis XVI, in May 1770. It was also here that the treaty of Versailles was signed on 28th June 1919, which sealed the end of the First World War. Since then, the presidents of the French Republic continue to receive the official hosts of France here. After visiting the castle, your guide will take you for a stroll through the gardens where you will discover countless statues of nymphs and gods, 50 fountains, 34 pools and of course the magnificent Grand Canal, on which entire naval battles were re-created for the amusement of the court. 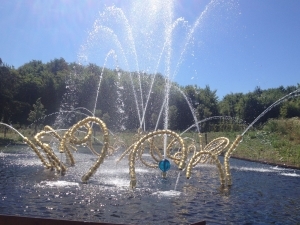 During high season weekends (from April to October) you will be able to enjoy a magnificent show accompanied by music : Les Grandes Eaux Musicales. Not to be missed ! Behind the Scenes Tour. On request Only !!! Follow your guide and visit the Private apartment of the king. 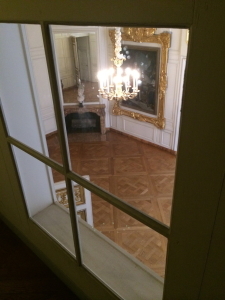 Behind the walls and royal life of the Grand Apartments lie the private apartments of Louis XV and Louis XVI. Accompanied by a qualified guide, this tour gives you a look into the intimate atmosphere and the refined decoration of these living areas.